It’s perfectly natural and indeed a matter of common sense to have certain doubts and questions about any proposed course of supplements, herbal or otherwise. Realistically speaking, there isn’t a single product or supplement on the face of the Earth that can be labeled universally safe and risk-free – the fact that every last human being in the world is unique makes this wholly impossible. However, it most certainly is possible to produce, retail and choose products that are guaranteed to be considerably lower risk than others, having formulated them in accordance with both extensive research and Mother Nature’s finest finery. What’s interesting about herbal supplements in the modern way of things is how such a vast proportion of the public looks at herbal products with decidedly more suspicion than wholly synthetic drugs and man-made products. They see herbs as not having been tested to the same extent and certainly not being put to use in medical environments to the same extent as their counterparts – the obvious conclusion therefore being that there must be something wrong with them. So, what’s the truth? Are herbal treatments really as risky and questionable as some would appear to think, or is it a case of things being blown out of proportion with no real justification? Can a person realistically be allergic to a herbal supplement? Of course they can – there really isn’t anything in the world at all that cannot trigger an allergic reaction in somebody, somewhere. From the grass growing in the garden outside to the cotton in your shirt and right through to the milk in the fridge, anything and everything can trigger an allergic reaction. However, the risk of something wholly natural triggering an allergic reaction is always going to be massively lower than that of a synthetically produced concoction or drug, which does wholly unnatural things to the body. 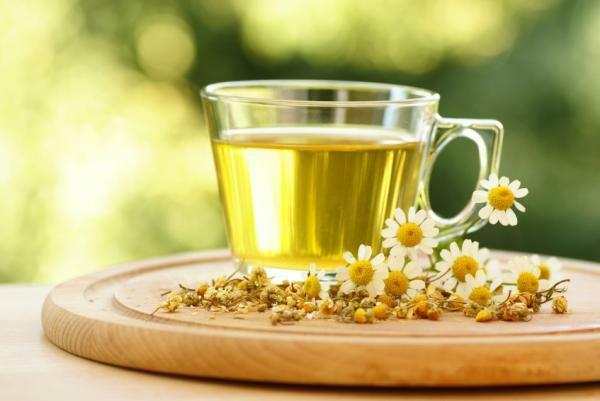 More often than not, a herbal product can be put on general sale to the public without having to be given any specific governmental approval or going through any specific screening. Unsurprisingly, this tends to scare the living out of some people and results in their writing-off of the entire product spectrum, rather than take what they think to be a risk. But while this is indeed a concern, there are also thousands of herbal remedies on sale that have been tried, tested and reviewed a million and one times over, completely verifying not only their safety, but their beneficial properties also. In a similar vein, some steer clear of herbal supplements for the simple reason that they naturally haven’t been given the same kind of lab time as the world’s most important synthetic cures and treatments. As such, they’re deemed to be a bit of an unknown, but this is a concern that can be immediately tossed out when acknowledging the fact that herbs have been in use since the dawn of mankind. Literally thousands of years of real-life testing and research has gone into the knowledge we have about herbs today – to label them in any way untested is an outright falsehood. Herbal products are often overlooked for the simple reason that their would-be buyers assume them to be infinitely less powerful and thus less capable of offering any real benefit. To think along such lines however is to miss the point entirely – herbal supplements can be among the world’s most powerful and effective preventative medicinal treatments when worked into an everyday diet. From warding off winter sniffles to reducing a person’s chance of developing heart disease, the power and potential of herbs is in no doubt. Last but not least, to worry how herbal treatments may interfere or react with other medicines is both natural and essential. In reality, anything you take or consume has the potential to interact with anything else in any number of ways – precisely why professional advice should be sought before adding any new supplement to an existing regime. Chances are the products themselves will feature an abundance of warnings with regard to any medicines they should not be taken with, but it’s still advisable to get the green light from an expert. In short, to approach herbal medicines with blind faith and no concerns whatsoever is not the best idea as it’s only with common sense and proactive caution than any supplements of any kind can be used safely and effectively. A Comparison Between Modular and Custom-Built Steam Showers: Which One Is Better For You? Does Vitamin B12 Really Help With Weight Loss?